Whether you’re a meal prepper or casual cook, it’s always a good idea to have simple game-changing condiments, sauces & spices on hand to give an ordinary meal that extraordinary factor. I’m assuming you’re not a savage and that you keep basic things like salt, pepper & ketchup around, so this list does not include such obvious essentials. Instead, I wanted to share some potentially unconsidered gems that I keep on hand in my kitchen and highly recommend to spice up your meals. I almost always have a bottle of this in my fridge for a guilt-free pancake topping, oatmeal and Greek yogurt sweetener, and also for various recipes that call for maple syrup. Laugh all you want, but a good sauce can turn a plain omelette to pure delight and dry chicken to a tasty dream. 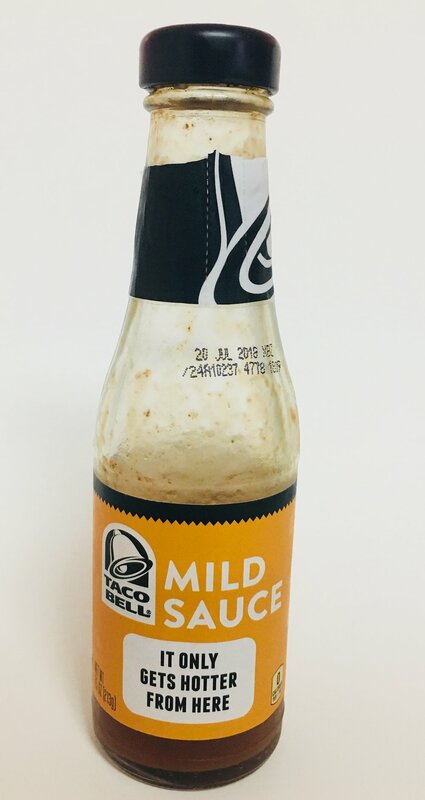 For hardly any calories, I find Taco Bell’s mild sauce by the bottle to be a super easy, cheap and delicious condiment to keep on hand for anything from breakfast to dinner! I picked this up on a whim at Trader Joe’s once because aioli is one of those flavors that really sells a menu item to me, and I haven’t regretted it since! I put this on sandwiches, wraps, mix a dollop into salads, and use it as a dip for fish and chicken. Because ain’t nobody got the spare calories for a tablespoon of butter, and I AINT GOT TIME for no dry toast/waffles. 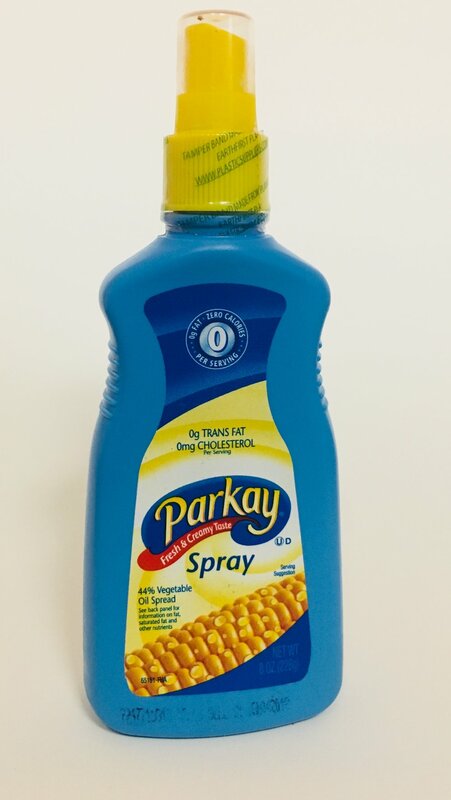 I spritz some of this stuff on my pancakes, waffles, toast and muffins, but I also use it to season fish before I bake it and also spray it on spinach as I sauté it. It adds just enough flavor without all the extra fat. I use this very often in conjunction with Cavendar’s, but I also love it as a mix-in to greek yogurt for a healthy version of Ranch dip/dressing! Conveniently, I’ve also found several Pinterest recipes that call for Ranch powder. I bought this when I was supposed to buy “minced ginger” and was hoping this would be an adequate stand-in. It was! It has helped me make so much Asian cuisine, and I truly had no idea ginger was such a dominating spice that I enjoyed so much. 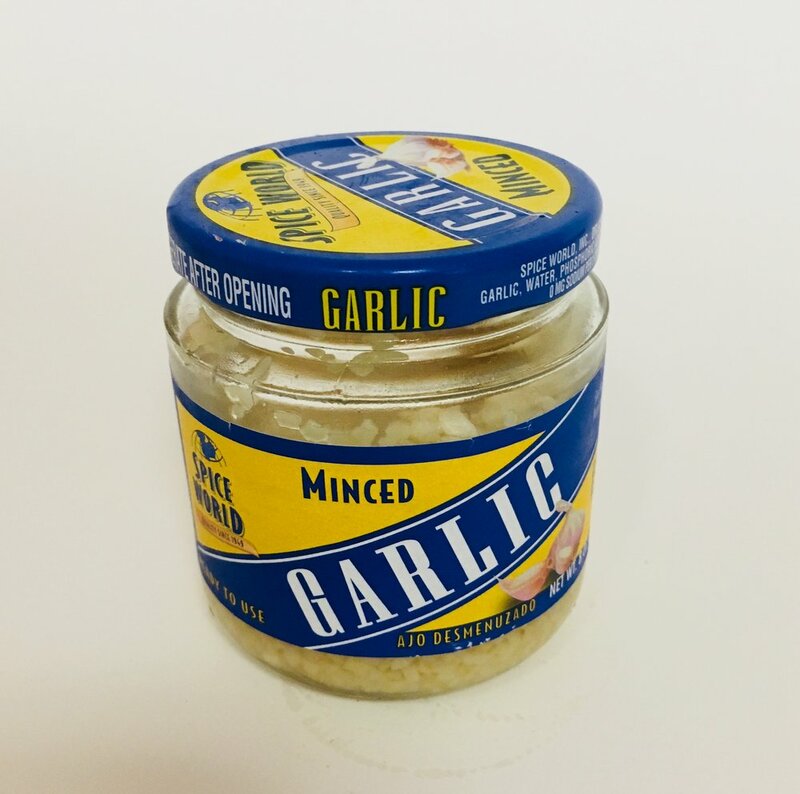 I sort of feel like this is on the same caliber as ketchup in terms of basic-necessity level, but in case it’s not— getchu some minced garlic. I sauté anything sauté-able in minced garlic: veggies, spinach, fish, shrimp, etc. and it’s a super easy mix-in to a marinade! Much like ginger, soy sauce is essential to me because I cook a lot of Asian food. It’s also called for in various marinades. Soy sauce is one of those flavors I crave, too, and like Taco Bell sauce, it just really changes an otherwise plain meal for me. I know some people hate cinnamon, but I find it to be the single spice that instantly satisfies my sweet tooth. (Notice I said spice, not food. I really would prefer a Hershey’s bar if I'm being honest…) I put cinnamon on apples, pears, in applesauce, oatmeal and smoothies. It can take a peanut butter-banana smoothie from level 5 to level 11 in 2 shakes.